Simplifying the Complex Education System Greece is a nation that has been gripped by a crippling economic crisis since 2009. What started out as financial turmoil soon spilled over into political and social crises as well. Among the struggling areas, public education is suffering from lack of funding for resources, teachers, and wages. Ourania Vasiliki Doula is a primary school teacher in Greece who was feeling the effects of the situation in her classroom. "In every crisis, there are opportunities that emerge that can change our living conditions. I strongly believe that education is the best opportunity we have." But with only one course book for each lesson, she sensed a need to expand upon the provided material. "I grew up in a family of teachers, where discussions regarding education and how it's best practiced happened every day. When I finally got my degree in Pedagogics and started to work I remember being so confused. How could I transform theory into practice?" After a few years working in the field, it became apparent that the existing curriculum was simply not enough. Then she began to produce her own teaching materials. Reaching Students through Shared Documents Ourania wanted to bring technology into her lessons and create custom educational material that would allow her to teach in a way that best fit her style and needs. She produced her own classroom materials for five years before publishing them online at a site she created called 'Anoixtes Taxeis' or 'Open Classrooms'. "I wanted to be able to distribute my resources [for] free, but I also wanted a template which was user-friendly, had customized restrictions and presented my materials in a more elegant fashion. 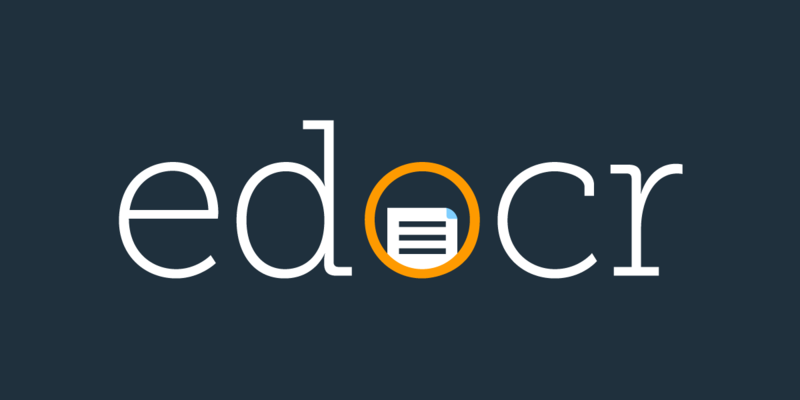 That's why I picked edocr among other platforms." - Ourania Vasiliki Doula, founder of Anoixtes Taxeis Ourania began sharing her material with students and educators on edocr. Her lesson plans began receiving hundreds of views. Of all the materials she produced, her guided and creative writing materials were the most popular in her own classroom and online. edocr allowed Ourania to easily grow her online presence with the lessons she already created. But, she didn't stop there. Ourania began utilizing more of the edocr features to suit her needs. Through her premium account, she created multiple collections so that her lessons could be organized by subject. Then, she took it a step further with edocr's lead generation feature. By gating her content by collection, she was able to see who was looking at her content. With edocr's email validation, she could rest assured that the email address provided was a real. Ourania continues to develop and share new materials every month. After seeing the initial results from using edocr, Ourania Vasiliki Doula has integrated edocr into her ongoing lesson sharing so that she can continue to share her love of education with the world. Ourania's edocr profile is here, but she requires your email address to access her various collections of documents: https://www.edocr.com/user/anoixtestaxeis And a sample document behind the 'provide email' wall: https://www.edocr.com/v/ewraz4e6/anoixtestaxeis/Plano-perigrafhs-antikeimenwn And do note that edocr provides educators with free premium account if they just ask!